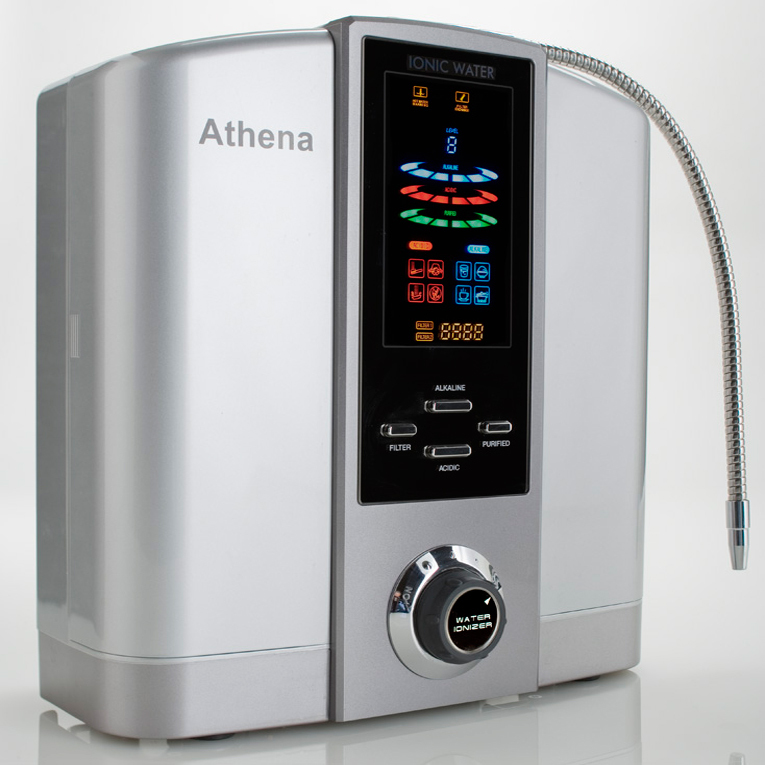 Over 4000 alkaline water ionizers are sold in America every month. The word is spreading. The demand is growing. And then... there was IonWays. JOIN TODAY! Mesh Plate Electrodes -Five of the most advanced mesh platinum-titanium electrodes in the world ~ backed by Emco Tech's reputation. DARC Cleaning System -Will completely eliminate mineral scaling from the ever-important electrodes � increasing the life of your ionizer. It also means you never have to wait for a cleaning cycle to finish before you get another glass of delicious ionized water. Patented Emco Tech Biostone� Filter-The enhanced performance and functionality of a dual filtration system (2 filters) which includes the revolutionary and patented 9-stage Biostone filtration system. MICOM Electronics-The MICOM control panel optimizes the pH and ORP of your water and helps keeps your ionizer in top working condition. A new indicator light alerts you if service is needed on your ionizer. ?? 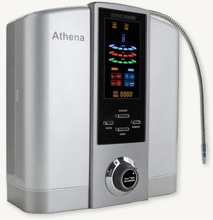 Flow Control-The Athena has a flow control valve that allows you to fine tune the performance and gives you true functional control of the water pressure through your ionizer. The Delphi 's stylish and contemporary design and cutting edge technology sets it a part from anything else available today. The Delphi is two components in one. At your sink you have a beautifully styled remote controlled faucet which operates the ionizing unit which is installed undersink completely out of site. 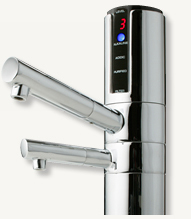 The Delphi defines �ease of use� with the new faucet. You control the operation and settings of the new unit with a tap of your finger on the touch pad. 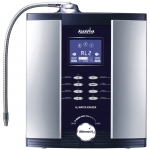 The Delphi also defines performance with the ionizing unit which employs Emco Tech's latest water cell technology - delivering top performance and health benefits into your water. The Delphi is also built to last. Unlike other ionizer cleaning systems, the Delphi 's new DARC system will completely eliminate mineral scaling from the ever important electrodes, increasing the life of your ionizer and protecting your investment. And you never have to wait for a cleaning cycle to complete to get a drink. What could be better: contemporary styling, ease of use and performance the Delphi offers it all. For those who demand the absolute best. The Isis is an excellent product for customers looking for proven performance and reliability in an entry-level price category. The Isis offers: Platinum / Titanium Electrodes Five electroplated platinum-titanium electrodes deliver top notch performance ~ backed by Emco Tech�s reputation. Automatic post-use cleaning cycle: Cleans the ever important electrodes after each use, increasing the life of your ionizer. The reversible chamber means you never have to wait for a cleaning cycle to get a drink unlike models from most other manufacturers. Installation Options: The Isis provides you with the right installation option. 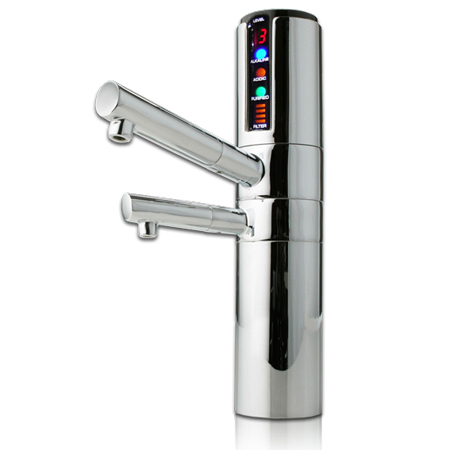 Unlike most other ionizers � which can only be installed to your faucet - it can be install a variety of ways. Fully featured LCD control panel: The colored panel shows you everything you�ll need to know to operate your Isis and get top performance. The New Diamond Standard in Undersink Ionizers. Representing the Absolute Zenith in Countertop Ionization. 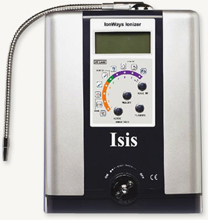 Our Value Priced Ionizer with Proven Reliability.